I was looking through the standings of the Reykjavik Open (who knows why?? 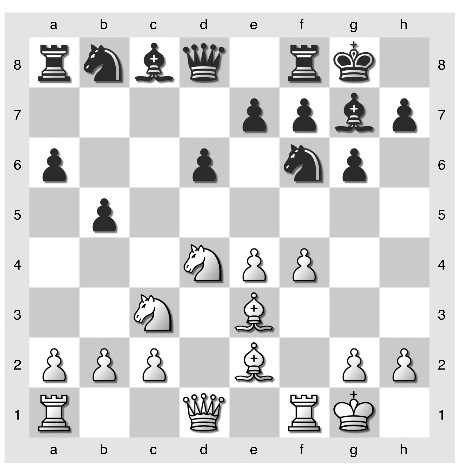 ), and who do I see sitting on 5.5/8 on board 18, above such luminaries as Yury Shulman and Maxime Vachier-Lagrave, but Kenilworth's own Yaacov Norowitz. I haven't been following Yaacov's results since he made the leap to the international circuit, but if my understanding is correct then he may be fighting for his third IM norm in the land made famous by Bobby Fischer. He has already had the opportunity to play a few foreign GM's so his odds are quite good. You can see some of his games here (scroll to the bottom of the list of games). Wish him luck! Update: Yaacov won in round 9 over GM Danielsen, and is playing on board 8 with White against GM Kuzubov. A win would likely get him a share of one of the top ~5 places (! ), and may even be worth a GM norm. 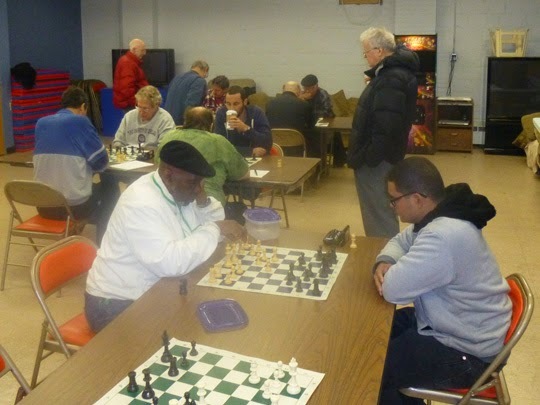 In recognition of our new (and returning) club president, here's a look back at an article that I published in the Atlantic Chess News annotating one of his best games, from our 2010 summer tournament. Please do not adjust your television set. A well executed queen sacrifice is often conceived in the context of a mating attack, where the queen is the mortar shell laying waste to a carefully constructed bunker, or perhaps a part of deep opening theory where dynamic compensation has been found and well studied. 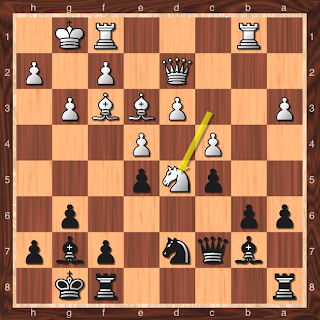 More impressive are over the board improvisations where the sacrifice is less obvious. 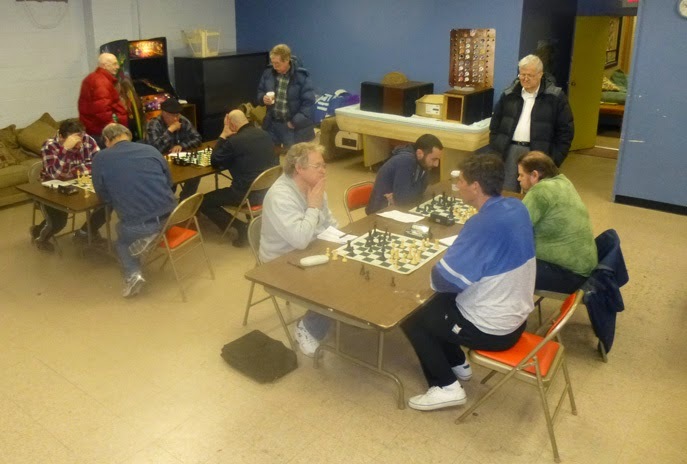 This inspirational game comes from last year’s open summer tournament at the Kenilworth Chess Club. 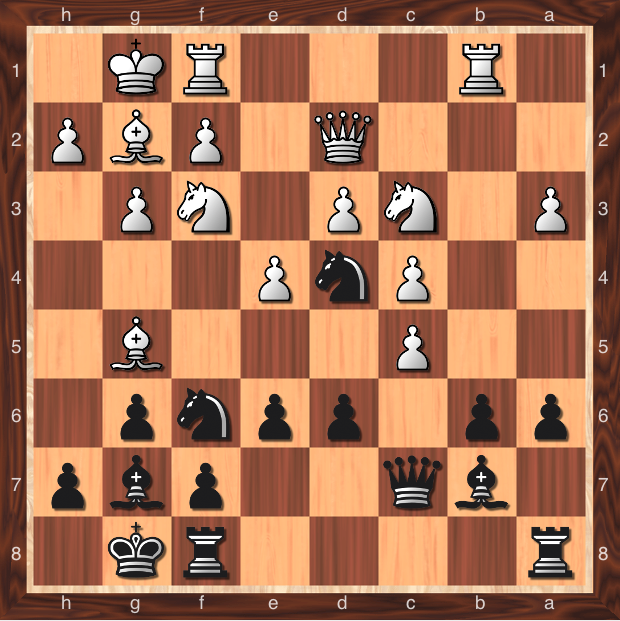 With a brisk G/60 time control and a format that places a premium on wins, the tournament produced some uncompromising fighting chess, but none with quite the verve displayed here. d4 d5 2. c4 c6 3. 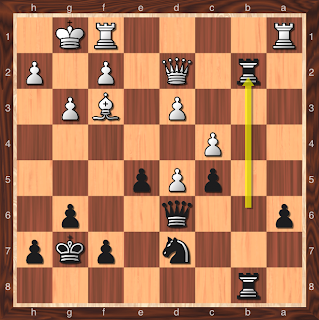 Nc3 Nf6 4. 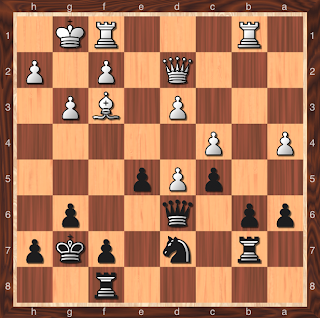 Nf3 dxc4 5. a4 Bf5 6. Ne5 Nbd7 7. Nxc4 Qc7 8. f3!? 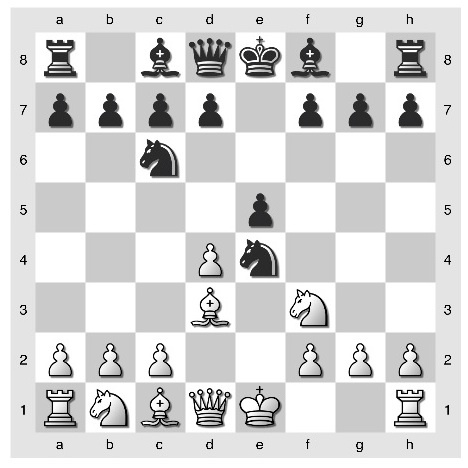 A rarity, in which White threatens to get a stranglehold on the center. 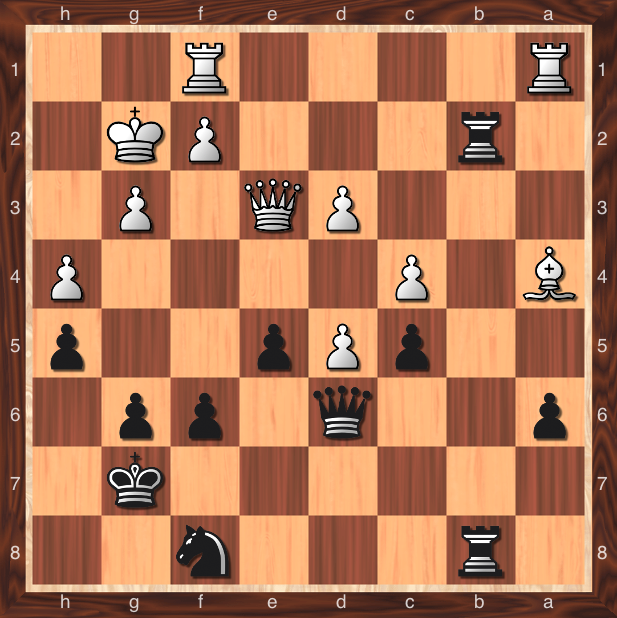 Black must respond with vigor and trust in his better development. .... e5! 9. e4 exd4 10. exf5? 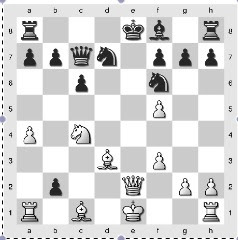 Certainly a mistake, but can we not applaud White’s effort? 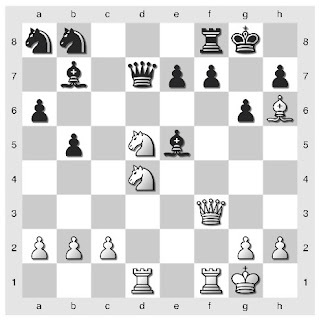 In the style of the Danish Gambit he may hope to develop his bishop to b2 at the cost of the odd pawn or two. 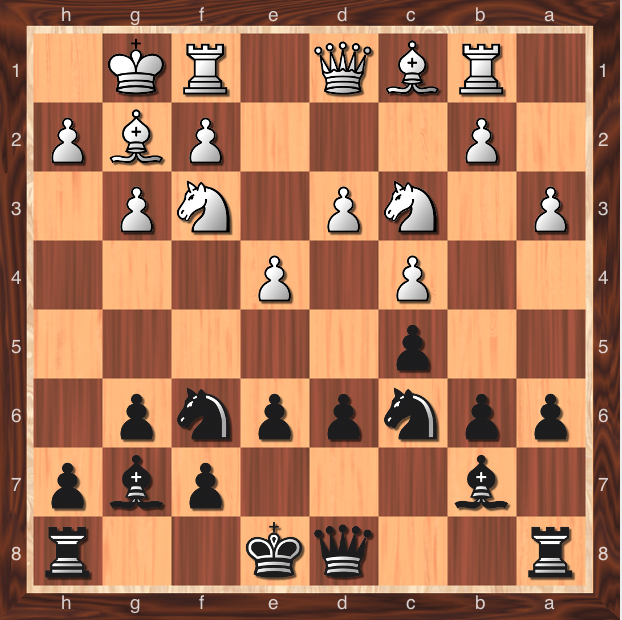 Then Black may find the open files of the queenside inhospitable for his King while the kingside will also come under pressure. The sedate 10. Ne2 is better but feels like a concession. 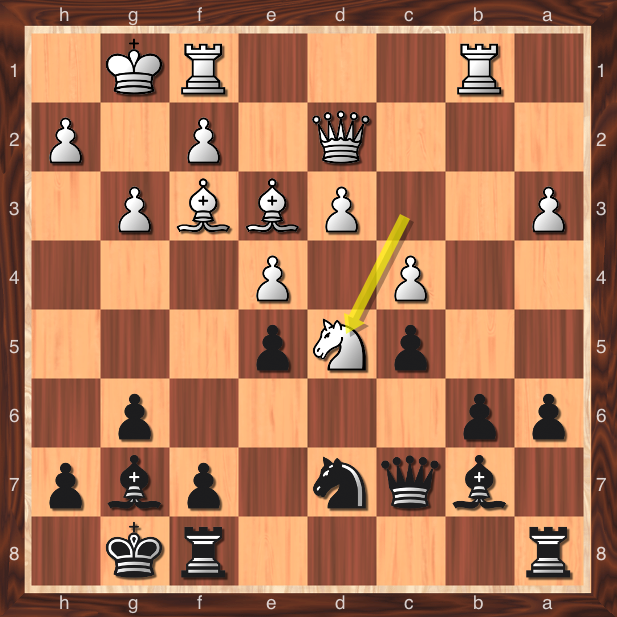 Black puts an emphatic stamp on an already well played game. He cuts through the Gordian knot of White’s threats in a single move, and what a move! 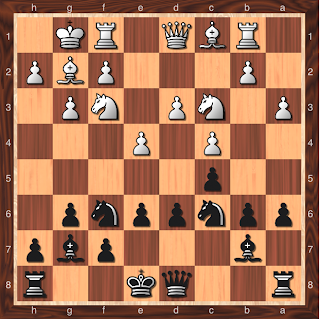 Black self-pins his queen, puts it en prise to a knight, and not least after 13. Nxe5 will be exposed to discovered check. Who without access to a computer would choose this idea? And yet it has a sound basis - temporarily blocking the e-file, White puts a punctuation mark on his threat to queen on a1. White’s best is likely to back out and capture the dangerous pawn on b2, but who can criticize White for refusing to believe that 12. Qe5 is possible, let alone a candidate for move of the year at Kenilworth? 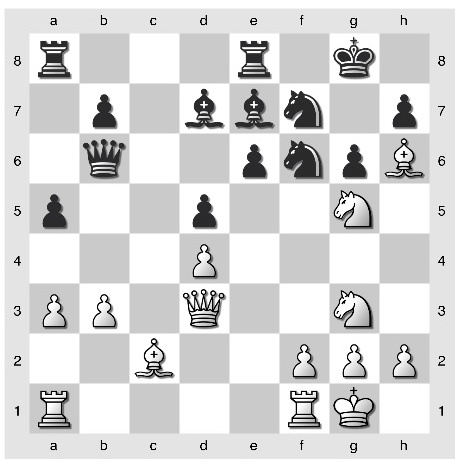 Even with the pinned knight on e5, White can take no decisive action because of the hanging bishop on c1. 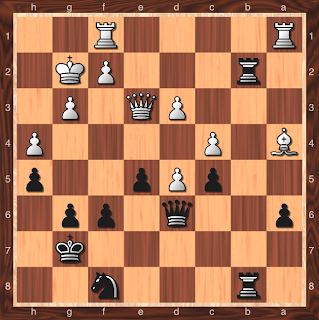 He comes up with the creative idea to trap Black’s new queen, but it transpires that this also is insufficient. .... bxc6 16. 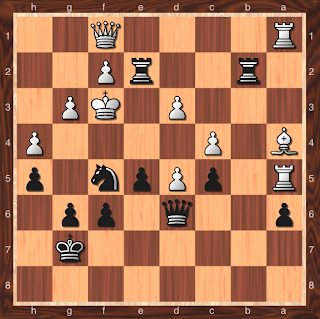 Bb2 Bc5+ 17. Kh1 Qxb2!? 18. Qxb2 Nxd3 19. Qe2+ Be7 20. Qxd3 O-O 21. Rc1 Rfd8 22. Qe3 Nd5 23. Qe4 Ba3 24. Re1 Bb4 25. 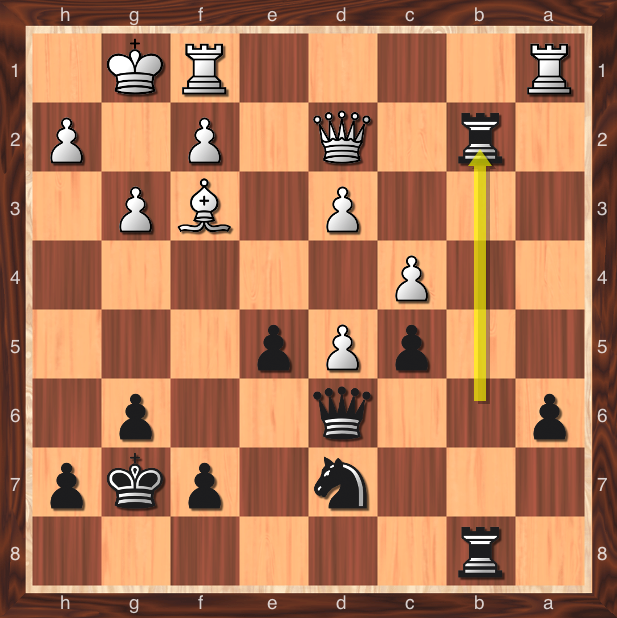 Rf1 a5 26. g4 Re8 27.Qd4 Rad8 28. Rd1 c5 29. Qd3? c4 30. Qxc4 Ne3 31. Rxd8 Rxd8. 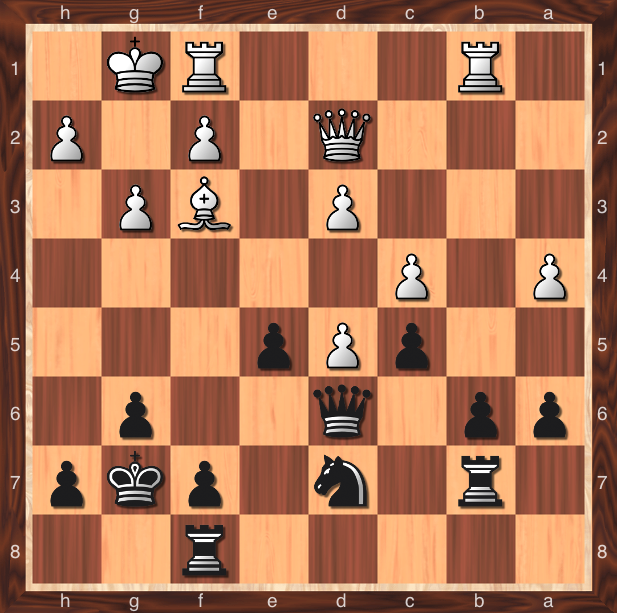 White resigns 0-1. 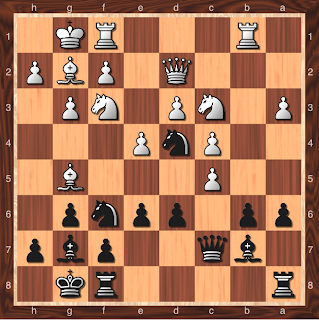 Moves like Black’s twelfth are rare gems to be treasured in the collection of any amateur’s finest moments. Now that you’ve seen the demonstration, try this at home!